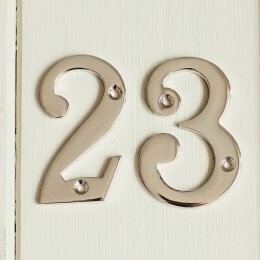 As well as being an important indication of where you live, house numbers should be aesthetically pleasing. 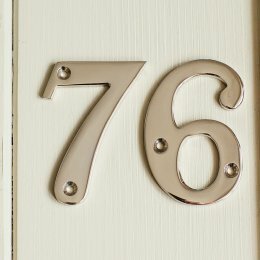 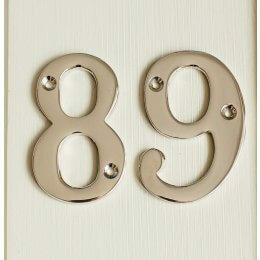 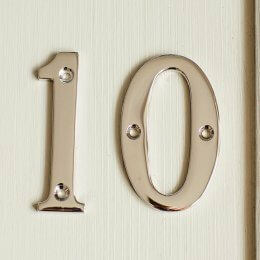 Our nickel house numbers are part of a range of other nickel products available to buy for your front door. 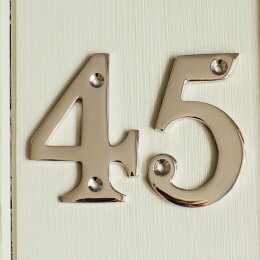 We also have brass house numbers if you're looking to upgrade other brass front door furniture and our brass products are available in a polished or unpolished finish. 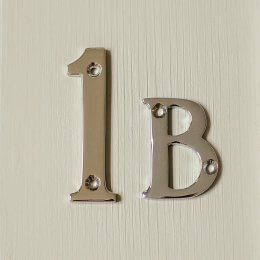 Our ironmongery is simple, stylish and cast from high quality materials and is suitable for both traditional, period and contemporary style homes. Please do contact us for further information regarding any of our ironmongery, we're happy to help whether it's a technical question or one of aesthetics !